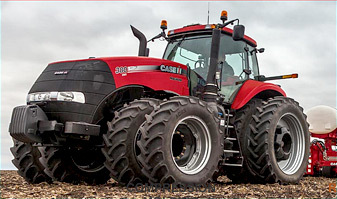 In support of an agricultural equipment manufacturer's "lightweighting" efforts, Ashley Industrial Molding produced the tractor hood assembly shown here, which featured overall finished dimensions of 2,692 mm in length, 965 mm in width, and 165 mm in height. Utilizing sheet molding compound, a reinforced composite with favorable strength properties, we engineered a compression molding process that applied the right amount of material, heat, and force to attain the desired geometry. Additional operations consisted of routing to smooth the edges and hardware installation. Close monitoring of process controls enabled us to manufacture the components to within ± 0.25 mm tolerances and with a Class A surface finish. 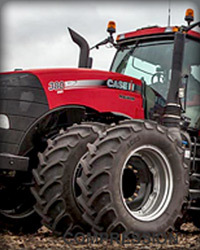 This tractor hood exhibits the lightweight strength and durability to perform long-term in an off-road environment while maintaining its appearance. The high-quality construction enabled the customer to meet both their cost and weight reduction goals. If you would like to learn more about this project, or how lightweight molded polymer components can help your products meet an elevated performance standard, contact us today.